There is actually a reason why almost every B movie ends with the main characters escaping to Mexico, whilst being chased by every police car in the state – after all, with such a great climate, delicious food, and all the siestas, could you think of a better place to be? In their 2015 Amigos Fiesta video slot, Spinomenal draws heavily on Mexico cultural stereotypes, placing the reels against a beautiful desert panorama and introducing colorful icons that best represent Mexico – or at least in a way a gringo would see it. 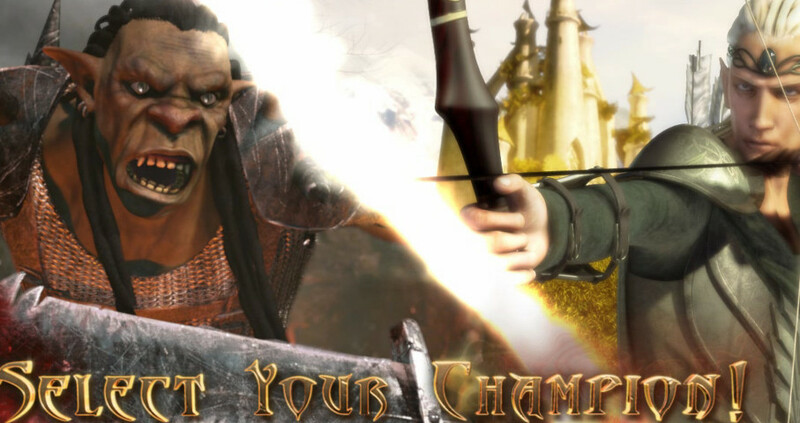 Curiously enough, 2015 was a big year for this particular theme and some of other highly acclaimed developers launched similar slots on the same year. 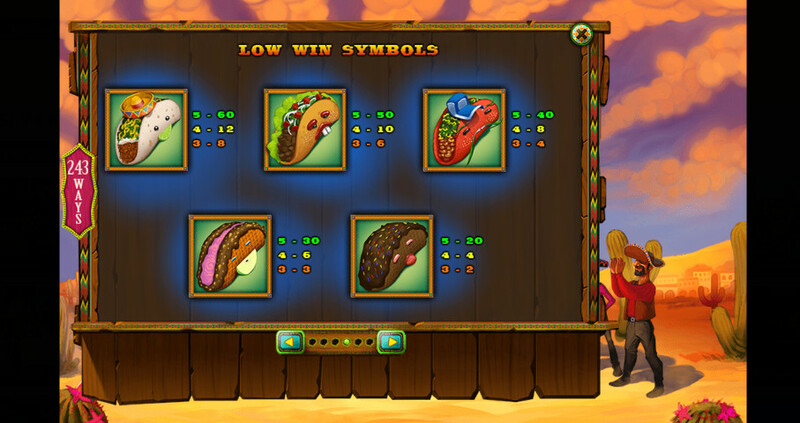 Amigos Fiesta had some high-end competition, fighting for the top position against Taco Brothers and Spinata Grande, both slots still extremely popular today. 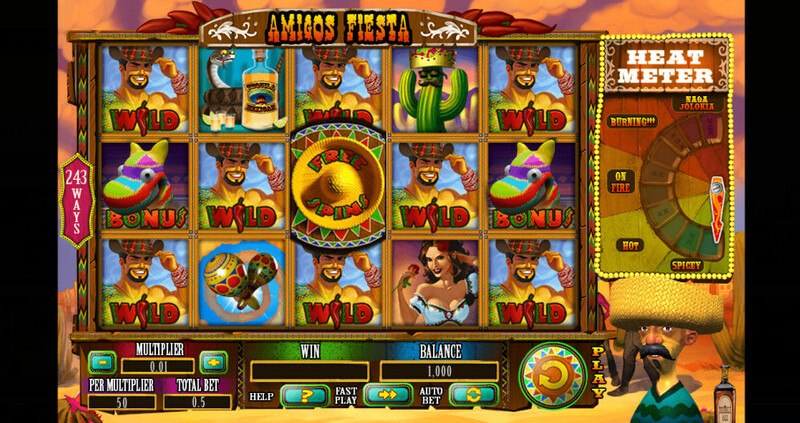 Still, Amigos Fiesta does not fall far behind, and, according to some players, the high RTP percentage (97.51%) places this slot in the lead position. The slot also offers a fair share of bonuses, wide betting range, and a great payout potential that increases with pressed bets. The bets in Amigos Fiesta start at $0.5, played on 243 paylines. Stakes are manually adjusted and the coin value is capped at $10, making the total bets $500. This means that the slot is ideal for high rollers, without excluding the players who have to be more mindful of the budget. Auto Play is available, however, the auto spin sessions are not limited and the auto mode will run until the players stop it manually. All symbols pay left to right when they land in combinations of 3 – 5 on connecting reels, with only the highest win per line paid. 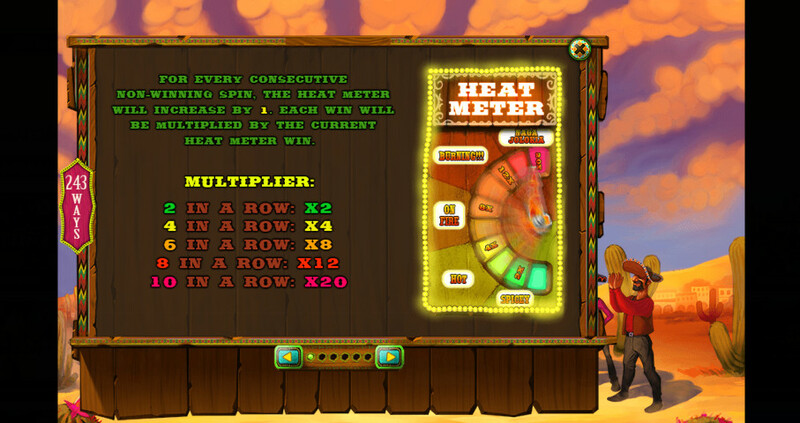 Even the non-winning spins are valuable in Amigos Fiesta and for every consecutive dead spin, the needle on the Heat Meter will move. The first next win will be multiplied by the number displayed on the meter. Two dry spins in a row will double the next payout, 4 non-winning spins will quadruple it, and 10 consecutive losing spins will reach the highest level on the meter, Naga Jolokia, and increase the first next payout by x10. 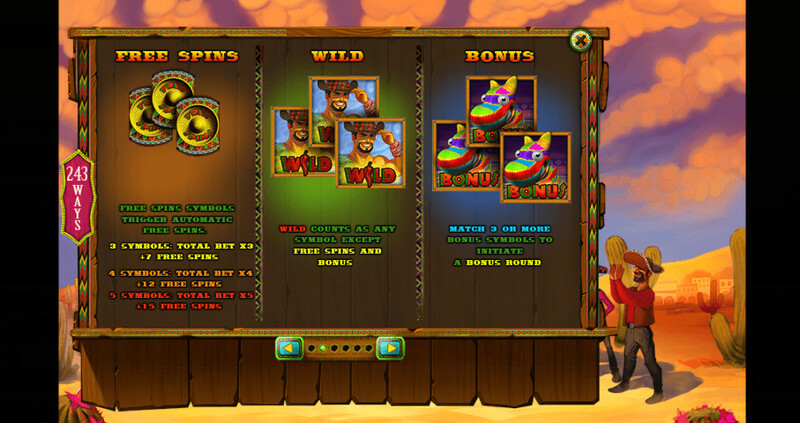 A Fiesta of Free Spins and Multipliers! 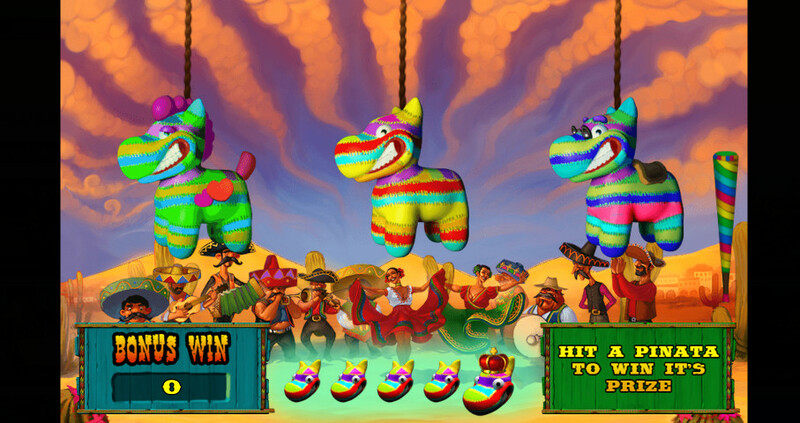 An extra bonus round is triggered when the 3 Pinata symbols land on the reels. This will start a Picking Game, and the players will get to hit one of the three Pinatas for a cash prize. 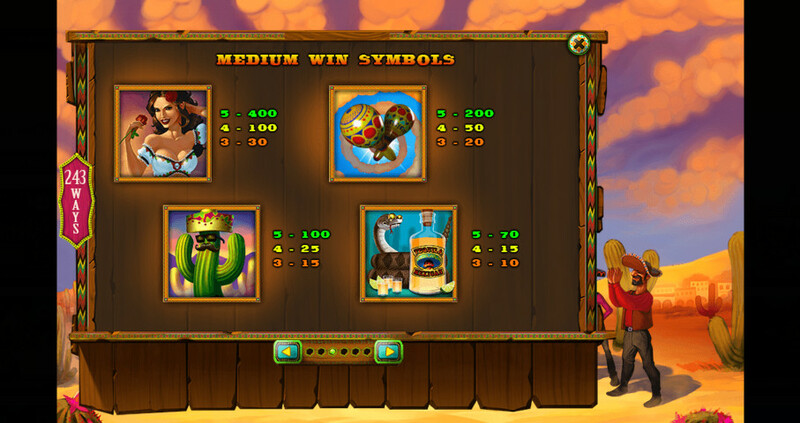 All symbols (except the ones that trigger the bonuses) can be replaced by the Wild icon, This applies to all medium and low-value icons– Mexican Girl, Maracas, the Cactus, the Tequila Bottle and different flavor Tacos. Although Amigos Fiesta may not one of the first titles to spring to mind when you are looking for a Mexican culture inspired slots, it will definitely crawl under your skin the moment you start playing it. Grant you, the visual features could be more sophisticated, but all other factors are exactly what they should be – great payouts, high RTP, and hit frequency that will keep you engaged.